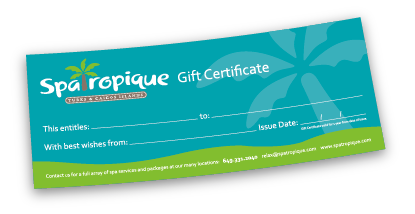 Also, call us today to ask us about including Spa Tropique as a great Wedding Registry Gift. Let us pamper you at your place or ours... Spa Tropique has many convenient locations on the island or let us come to you. Please call or email us to book your Spa Tropique experience.